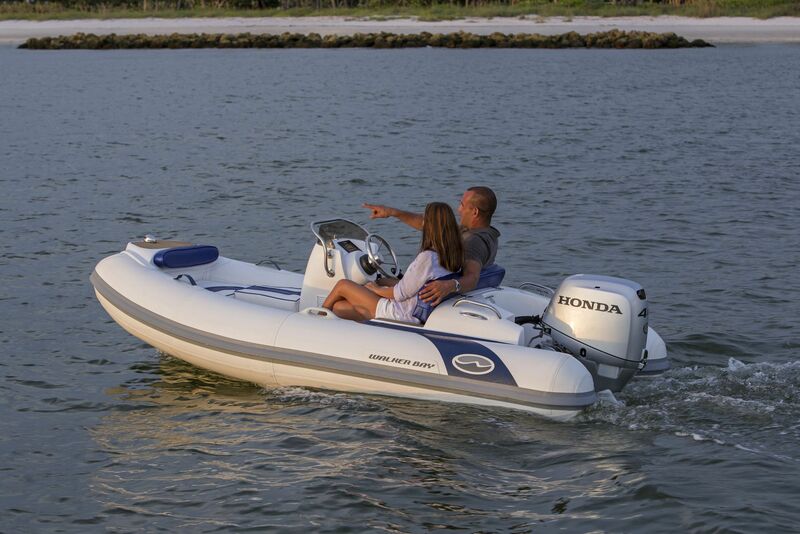 outboard inflatable boat / rigid / side console / 5-person max. 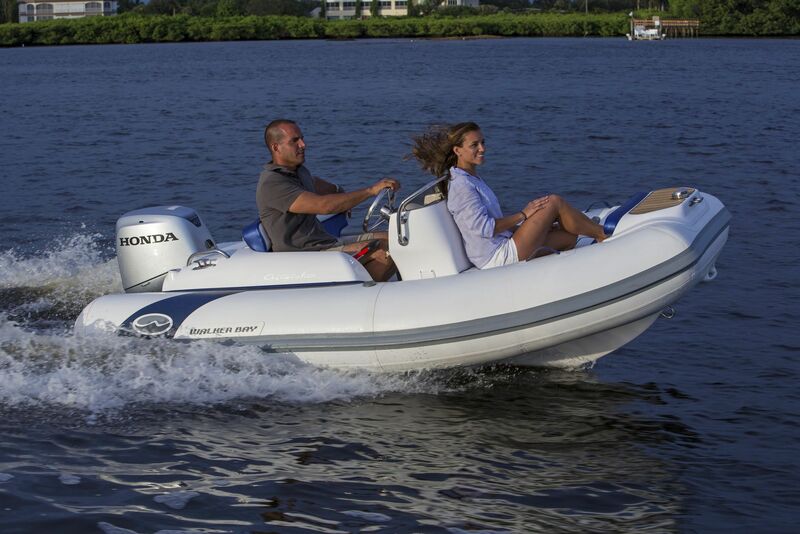 The Generation 340 is a remarkable boat for its size. A walk through interior allows for easy maneuverability and ample storage keeps the cockpit free and clear. The console has more legroom for the driver and room to stretch out a leg while the heavy-duty, high-density cushions provide exceptionally comfortable seating. 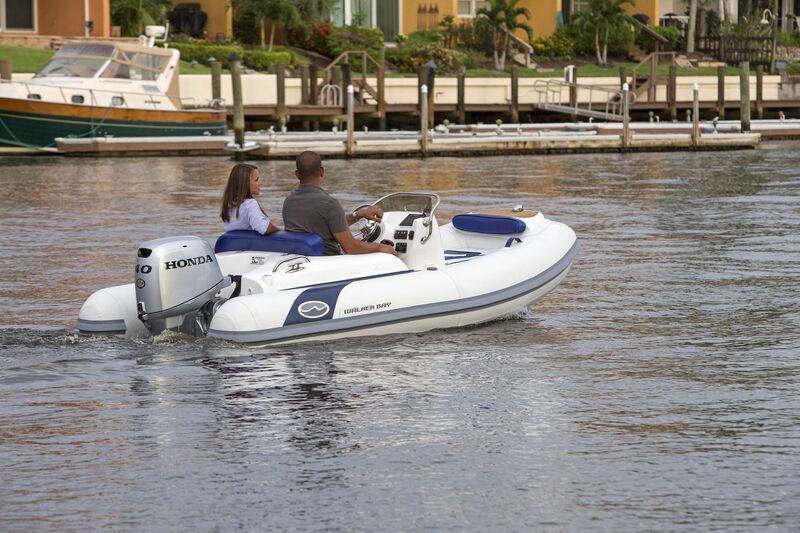 The extra deep V-hull in all Generation luxury RIBs is made for cutting through water. As well, the customized gas tank fits in the bow section of the keel, moving weight forward in the boat to further reduce the impact of rough chop and contribute to early planning. 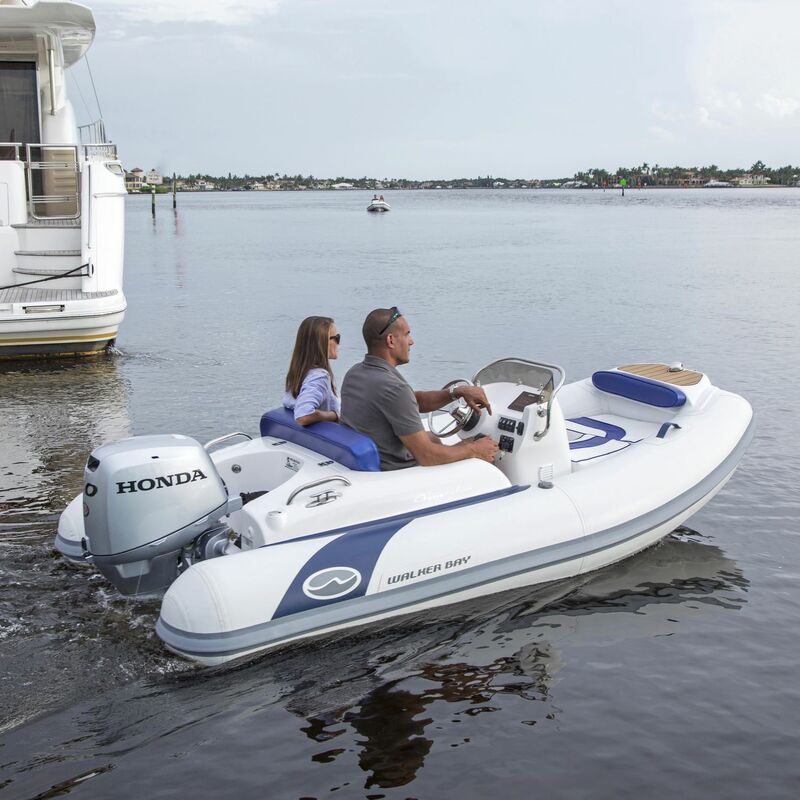 As the Generation 340 DLX luxury tender propels forward, the concave chines deflect the water down, reducing spray and increasing hull traction for aggressive maneuvering. The stern of the hull, meanwhile, flattens out to facilitate planing at low speeds. 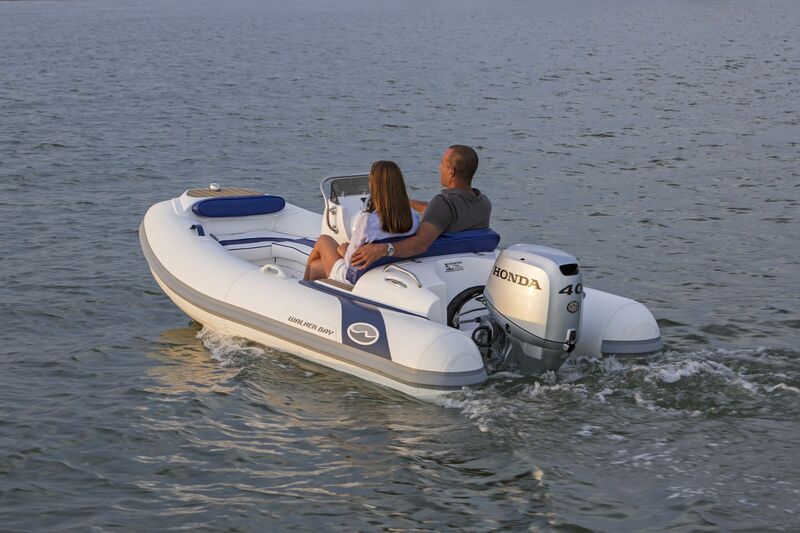 Above the water, the sloping design of the bow step pushes the boat down at the front while the downward curve of the stern lifts the tail to increase stability and handling.